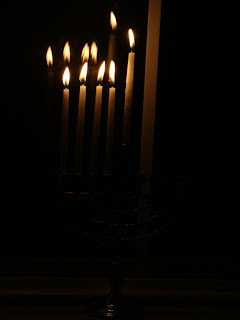 For me, the end of Chanukah (the Festival of Lights), and the Winter Solstice, signal the coming light. The knowledge that each day brings just a bit more sunlight to my world is a wonderful thing. It gives me hope for the coming year. The Winter Solstice signals the birth of a new year. It celebrates the end of the darkness. For me, that is wonderful. Wishing you all a Merry Christmas, and a wonderful winter!